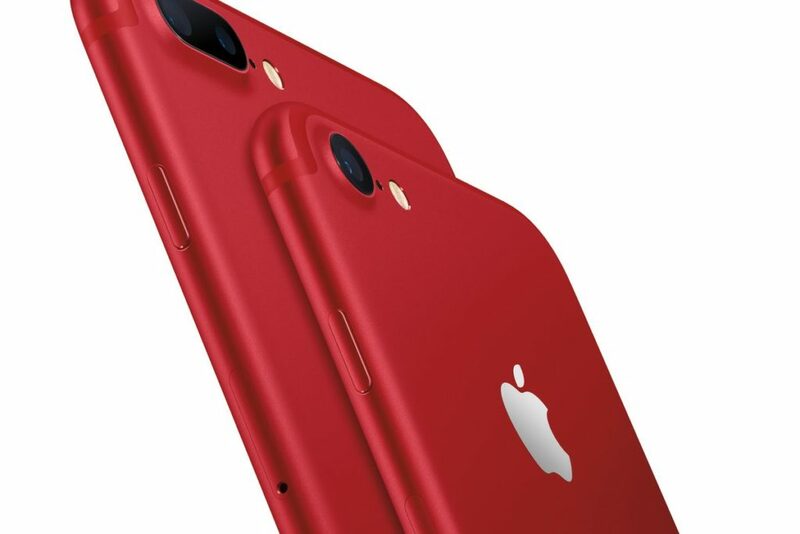 Apple just floored its users once again by launching a special edition of red colour iPhone 7 and 7 Plus smartphones along with a new 9.7-inch iPad. The ‘Product Red Special Edition’ for iPhone 7 and iPhone 7 Plus will be available at Apple’s authorised resellers with respective storage capacities of 128GB (Rs 82,000) and 256GB (Rs 92,000). While the handsets will be available in select countries from March 24, 2017, the same will arrive in India in April. Apple has also upgraded its iPhone SE models (32 GB and 128 GB). The price range for the same starts at Rs 27,200. The iPhone SE until now was available in 16GB and 64GB internal storage options. Apple also launched a new 9.7-inch iPad, which is priced at Rs 28,900 for the 32GB Wi-Fi only model, and Rs 39,900 for the 32GB Wi-Fi+ Cellular model. While the iPad would be available in India from April this year, it will be available in the US and other select countries from Mar ch last week. The 9.7 -inch iPad is available in Silver, Gold, and Space Grey colour variants, which will come with an aluminium unibody enclosure and a retina display with 2048×1536 pixel resolution. It is powered by Apple’’s A9 chipset with 64-bit architecture, along with the M9 motion co-processor. The iPad will come with an 8MP rear autofocus camera with f/2.4 aperture, 5P lens and several shooting modes including Panorama, Timer, Hybrid IR Filter, Auto Image Stabilisation and more. The camera can record a Full HD resolution video at 30fps and slo-mo videos at 120fps. The 9.7-inch iPad also has a 1.2MP FaceTime HD camera with f/2.2 aperture and HD video recording. Along with a good support of Wi-Fi 802.11 a/b/g/n/ac, Bluetooth v4.2, GPS, Glonass and LTE bands (for WiFi+Cellular), there’s also a fingerprint sensor embedded in the home button. Apple also updated its iPad Mini 4, which will now come with 128GB internal storage will cost Rs 34,900, and its 128GB Wi-Fi+Cellular version will cost Rs 45,900. To give your phone a new look, Apple has also launched several new cases for iPhone 7 and iPhone 7 Plus. While the silicone cases would be available in Azure, Camellia and Pebble colour options, the leather cases would come in Taupe, Sapphire and Berry colour variants, and will be available at a starting price of Rs 2,900. The Polyurethane Smart Covers for iPad will be available at Rs 3,700 at authorised resellers. With too many things that Apple has launched, the chic red-colour available in iPhone 7 and iPhone 7 Plus has definitely become the talking point!